Inspired by this question series, which was inspired by this question. They give rise to beautiful pictures (at least in the eye of the beholder mathematician) and some nice generalizable solutions. 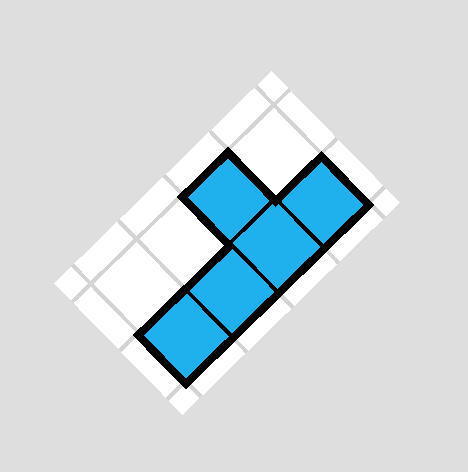 What is the smallest rectangle which can be tiled by Y pentominos? Rotations and reflections of the pentomino are allowed, so you actually have 8 forms to work with. The total area of the rectangle must be divisible by 5. Therefore, at least one of the sides must be divisible by 5 as well. Not the answer you're looking for? Browse other questions tagged geometry no-computers tiling polyomino or ask your own question.